Three years ago this month, I learned of Prince’s passing the 21st century way: first via inquisitive texts from close friends, then halting and dubious social media reports, then the dreaded onslaught of official confirmations. 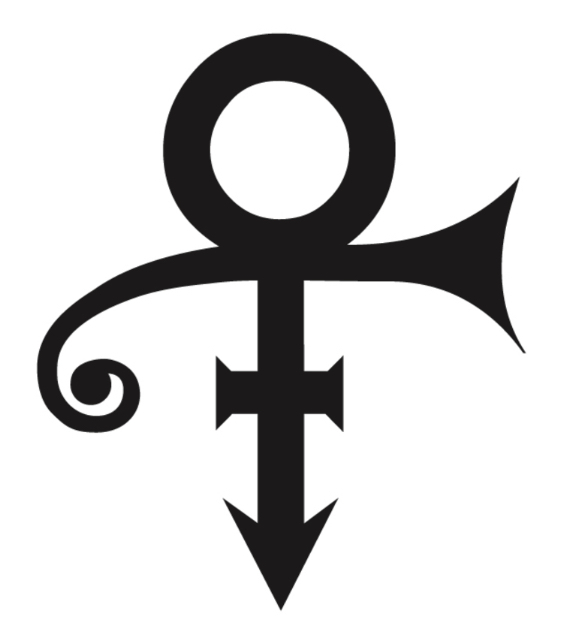 As a Gen-Xer who was a teenager during Prince’s first major pop breakthroughs and then a young professional musician when the Minneapolis maverick began his fight against unjust music industry practices, it is difficult to overstate his towering influence on me personally. His overtly and covertly imparted philosophies and aesthetic values are imprinted all over the work that I’ve chosen to do, the sounds that I love, the artistic standards I attempt to achieve and the way I view an artist’s place in the world. I know this is the case for many other recording artists and musicians of multiple generations and backgrounds. He was an artist’s artist, a musician’s musician, an unrelenting example of the potential for the sublime in popular music, and the greatest live performer of this generation. When I logged into my social media accounts after the news was official I saw jazz cats, classical music stalwarts, Boomers, Gen X-ers, Millennials, avant-garde folks, headbangers, funkateers, country crooners, indie hipsters, laptop kids, hip-hop heads, pop aficionados, performance artists, singer-songwriters, classic rockers, and everybody else from all around the world sharing their thoughts, memories, and favorite songs. We all loved him, especially artists of all kinds, because in addition to his famous charisma, he also oozed integrity. We noticed that his bands were made of women and men of different races. We heard about his donations to people like Marva Collins. We watched when he changed his name to a symbol and took all kinds of mockery and heat for it. We perked up when he was one of the first artists to offer downloads via his own website. We witnessed with envy and admiration when he racked up platinum status for his Musicology album partially by including a free CD with every concert ticket sold in 2004. We were not surprised when he turned up in Baltimore in 2015, offering a song and a “Rally 4 Peace" in the midst of upheaval and heartbreaking events. Like the similarly idolized and gone-too-soon Bruce Lee, Prince also held a special place in the hearts and minds of people of color, as someone who intently asserted his independence and identity in the face of misguided preconceptions and prejudice, and who staunchly held his ground in menacing David vs. Goliath industry matches. We have now lived in a world without Prince for three years. It’s tough to imagine, since he so thoroughly helped to shape contemporary pop music production. The influence of his drum machine work, singular guitar stylings, funk-face synthesizer sounds, and penchant for sonic experimentation can be heard in multiple pop, R&B, hip-hop, and EDM tracks daily. His fearless stare-downs with behemoth entities attempting to exploit musicians are legendary, and referenced virtually every time a contemporary recording artist takes a principled stand for the rights of artists. From the control room to the board room, Prince left no aspect of the music business untouched by his genius. As we reflect on the past three years without Prince, it is important to see past the obvious--- our grief---and locate the ways in which his example as an artist and humanitarian can continue to inspire and bring joy to our lives and our work. Prince himself once said that “inspirational music” was probably the most appropriate category he could think of for his work. With that in mind, I’ve put together a 17-track list which highlights a few particularly inspirational moments in Prince’s very inspired career. The first of Prince’s many rallying cries for diversity and freedom. Piano-drenched reminder to not take one’s liberated state lightly. Like many artists who grew up in a religious milieu, there was a fierce push-and-pull in Prince’s work between the carnal and the spiritual. This striking track is an example of one of the first times he went straight for the latter. Prince wrote this devastatingly funky and apocalypse-obsessed track for his childhood friend and former bass player, spreading the love after the massive success of Purple Rain. This link is to the released version by Cymone. 6. “Sometimes it Snows in April” from Parade. Though cryptic and forlorn, imparts a home truth that can’t be denied. Unabashed testifying accompanied by hypnotic guitars and drums. Riveting live version of a gospel-ish track that would end up on the Graffiti Bridge soundtrack. Funky, surprisingly revealing and ultimately uplifting tale about some of his childhood experiences. Women were clearly an important muse to Prince. This single is inspirational on a couple of levels: as a deeply felt love song, and as his first (and very successful) single as an “indie artist”, without Warner Brothers support. Though most people associate Prince with that other color, this powerful track from his last Warner Brothers album is sterling in its own right. Loving and hopeful reincarnation reflection, dedicated to his son who was born with Pfeiffer Syndrome and died shortly after birth. Frenetic drums and rousing choir parts frame this track from this Jehovah’s Witness-informed album. Challenging, deep-thinking stuff from an often overlooked guitar-based album. Serious metaphysics over an industrial synth-funk groove. Poignant (even more so now) about the ultimate journey.